Max Factory continues to deliver the goods for Studio Trigger’s SSSS Gridman anime! 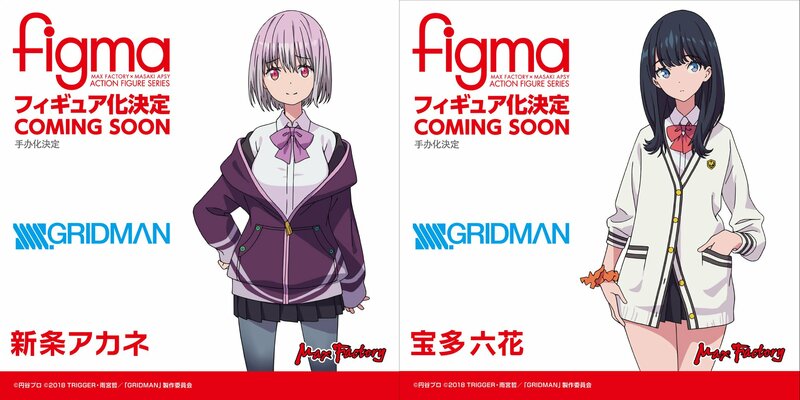 You may have just heard that Max Factory plans on adding the titular hero to their Figma line up, and now two more characters from the anime will be joining him with Figma Rikka Takarada & Akane Shinjo having been teased. Sadly, we have no prototypes to show of these fan-favorite characters or release info. But stay tuned to Tokunation and we’ll continue to bring more updates on this as it becomes available. Best girls coming to the Figma line. No prototype for now, sadly. If this happens someone has to do a side-by-side of Akane with SG Optimus. If this happens someone has to do a side-by-side of Rikka with SG Optimus. Rikka is based on Megatron. Akane the a-hole is based on Optimus. Oh ok. Can�t read Japanese so was bound to make that mistake. Akane yes! Rikka... eh, maybe. Aww (im knida late but) I�m so happy Figma got the rights to the character figurines. Sign me up for both!!! 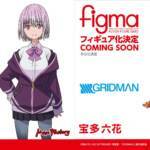 Full Thread: Figma Rikka Takarada & Akane Shinjo Teased! All times are GMT -4. The time now is 9:52 AM.